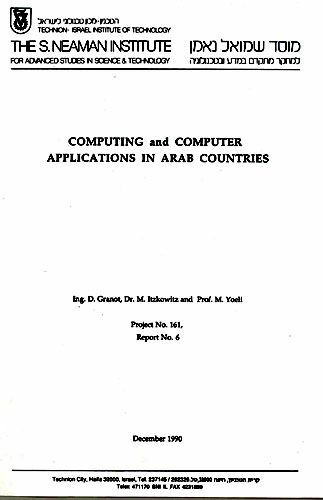 The computing and computer applications in Arab countries, especially in Egypt, Saudi Arabia and Jordan, have taken a fast development since the 1970s. It is significant in four major fields: arabization of computer software, utilization of computing systems, science and computer engineering education, and a growing number of publications. The fast development is to be expected in the future, mainly due to the growing awareness in the Arab States of the importance of computing. The recent crisis in the Gulf, the war against Iraq and on the other hand, the Alliance of Egypt and Saudi Arabia with the United States and the Western countries, may have long range effects on future technological developments in these Arab countries and will affect the computer developments in these countries.